The Watson CPA Group is proud to announce Sally Rhoades, CPA, as our latest partner. As a Colorado Springs CPA, Sally started her career with the Watson CPA Group January 2014 as a tax return preparer but quickly caught the eyes of Jason and Tina Watson, and was promoted to a newly created role called the MIG. This was our internal code of Missing Information Gatekeeper. The MIG is a tough role… Speaking to clients, obtaining information and clarification, and resolving issues is a special skill. Not every accountant can do it, and those who can don’t always do it well. How many monotone, pulseless CPAs do you know? Sally proved quickly that she was smart and articulate, all the while making each client feel heard. The following year she was promoted to Tax Manager, and managed Pod C.
After just five tax seasons, it was clear that Sally was special to Watson CPA Group. Great work ethic. Calm demeanor. Well-respected by her team and other Tax Managers. It was obvious that if anyone personafied the perfect combination of professional and compassion, it was Sally Rhoades. As such, Watson CPA Group offered and Sally accepted the Partner role in early August 2018. 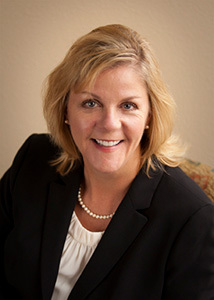 Please congratulate Sally Rhoades, your Colorado Springs CPA and your Watson CPA Group Partner.